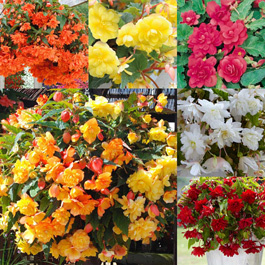 These Beautiful Illumination begonias will produce a vibrant display for you summer pots and baskets. 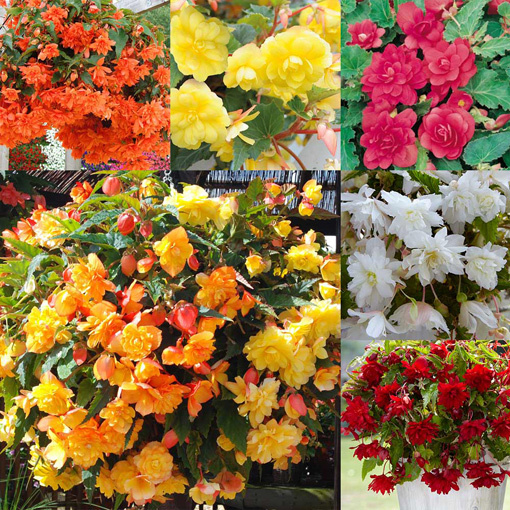 The collections of 24 includes four each of Scarlet Sensation, Orange, White Sparkle, Intense Rose, Yellow and Apricot Shades. The collection of 30 includes 5 of each variety. 3cm diameter jumbo plug plants supplied. Deadhead regularly to help encourage a further growth of flower heads. Supplied as cutting raised 3cm jumbo plugs for the first time.